If you're in the market for a really nice neutral palette for the fall, there's still time to enter my LORAC Femme Fatale Palette - it ends tonight at midnight EST. You can find all the details (and swatches) here. Thanks to everyone who's already entered - I've loved reading all of your comments about your favorite fall makeup. You guys are awesome. It has been a seriously long time since I've been excited about a MAC limited edition collection - they come out so often that it's just tough to work up any enthusiasm. But as soon as I heard about the Marilyn Monroe Collection, I knew I'd be doing some serious shopping. Not only is Marilyn an absolute icon whose makeup style I absolutely adore (even I'm not quite brave enough for the red lips! ), but there's some sentimental value in it since when I was a kid, my sister wrote a term paper for her English class about Marilyn (I think it was actually about whether the Kennedys were involved in her death or not. Yep. That's how cool my sister is/was... even at 15.) and we wound up watching a bunch of her movies together. And Marilyn is all over the packaging! The collection has several lipsticks (most of which are variations of red), a couple of dazzleglasses, eye shadows, blushes, a beauty powder, nail polishes and a bunch of other goodies. I tried to limit myself to just a couple of lipsticks, but I wound up spending a bit more than I was intending - isn't that always the way? I will definitely share some photos once my goodies arrive. If you're a fan of Marilyn, I definitely recommend checking out the collection. If you're not, I'm not sure that there are any shades that are particularly unique but it's still worth a peek. The always amazing Temptalia has plenty of swatches and reviews that you can check out here. It seems like most of the items are sold out on MAC's website, so you'll probably have to hit your local MAC store or counter to find the collection. I'm always getting skin care samples in my Birch Box, New Beauty Test Tube and other sample services, and while plenty of the products are perfectly nice, most of them don't stand out as anything special. 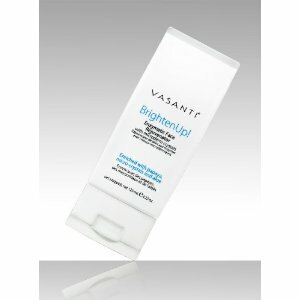 That's why I was so excited when I tried the Vasanti BrightenUp! Enzymatic Face Rejuvenator and it pretty much knocked my socks off. It's particularly surprising because I've never even heard of the brand before. Essentially, BrightenUp! is an exfoliator that uses papaya enzymes and microcrystals to slough off dead skin so you get super soft, super glowy skin. But BrightenUp! also contains aloe vera, panthenol (vitamin B) and coconut, so it's doesn't dry your skin out like a lot of other exfoliating products. My skin feels super soft and smooth after using it, but there's none of the dryness and tightness that I get with other products. The label advises using it 3 to 5 times a week, and I've only used it 3 times but I am seriously impressed. Oh, and it's paraben-free, 99% Natural, 100% vegan and not tested on animals, so I feel good about using it. I'll definitely be purchasing a full size, which is 4.23 ounces and costs $34. You can buy it on the Vasanti website or from Amazon. What new products are you excited about these days? LORAC Femme Fatale Palette Giveaway Winner!